5 brilliant 5 minute ignites! DIY culture is a fast-growing domain due mainly to the democratising effect of the Web. Cultural institutions have a history of engaging with DIY culture. As DIY culture is getting better at organising itself on the internet outside of institutions, it becomes more important than ever to understand this phenomenon, as well as to work towards continuing this relationship. I will focus on genealogy and how Kolding Stadsarkiv managed to create a mutually beneficial working relationship with a DIY group on the project “Aagaards Billeder”. Denmark on film is a portal displaying 500 historical film clips (a total of 50 hours content), from the period 1897 to ca. 1950, geographically placed on a map of Denmark. Selection criteria have been that clips should have a location and a date. Films are searchable by keyword and contain a mix of themes, such as cities, agriculture, children, etc. The sharing aspect is thought of through the offering of a “make your own clip” tool, which allows sharing concrete clips through social media. Also, the portal allows the embed code of clips to be lifted, allowing integration into for instance heritage institution’s own websites. While the portal is supposed to function in its own right, the hope is that institutions and citizens will build their own local contextualization based on geography, thematic and special interests. Is there something like the Ethics of Remixing? ‘What are you doing with this respectable work of art? !’ An Old Master discovers the modern world – and gets discovered by that world. A philosophical-entertaining talk, trying to sensitise for the arguments of ‘friends and enemies’ of remixing famous artworks. Remixing sculptures – do you dare? Remixing, 3D printing and sharing – copyright protected – sculptures from the museum collection. – Do you dare? 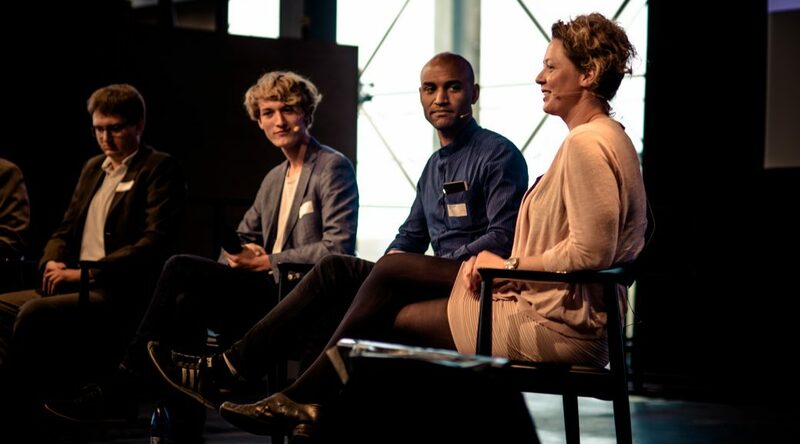 In this talk you can hear about somebody who did: a 3D workshop held in March 2015 at KUNSTEN Museum of Modern Art Aalborg, Denmark. For 8 days museum users were invited to 3D scan selected sculptures and remix them in open source software. The results were 3D printed and shared at youmagine.com. Hackatons are so 2014, what’s next? Hacking means making something your own by studying it, taking it apart if necessary and (re)assembling it in a new way. In that sense hackathons are the ideal format to stirr up interest in open cultural data with the tech savvy internet crowd. We did this in Berlin with codingdavinci.de for the 2nd year running – with amazing projects built by our participants. Some of those will be featured in this talk as well as the “Erfolgsgeheimnis” of the 4 hosting institutions. But an annual event does not a living community make, so … what’s next? THE CALL IS NOW CLOSED. THANKS FOR YOUR SUBMISSIONS. THE IGNITE SPEAKERS ARE NOW FEATURED IN THE PROGRAMME. This year’s seminar addresses the topic of copyright and cultural heritage in a constructive and proactive way. Through international keynote speakers, keynotes in conversation and a programme of ignite presentations the seminar keeps focus on the amazing stuff the cultural sector can achieve when rethinking the logic of copyright in a digital age perspective. But we will also discuss the hurdles to overcome and the fights to take, when we want to challenge the traditional notion of copyright. The keynote speakers are invited to deliver talks that open up fresh perspectives on how to work more flexibly with rights in the digital age, and what awesome potentials the cultural sector can tap into if we dare to change our existing mindsets and ways of working. The seminar is targeted at professionals in libraries, archives and museums, Wikipedians, start-ups, and everyone interested in cultural heritage and digital culture. As a special feature this year, Sharing is Caring will lead directly up to the annual cultural heritage hackathon event Hack4dk www.hack4dk.wordpress.com which will run from Friday evening through Sunday. Through the power of open data, creative reuse and playful engagement Hack4dk creates new usage of digital heritage collections. Hack4dk provides a chance for developers and creators to play with open cultural data and spend the weekend with fellow developers and creative people. Are YOU one of our ignite speakers? We a looking for engaging, motivating and entertaining ignite talks presenting best practice or theoretic approaches to this years theme “Right to Remix?”. 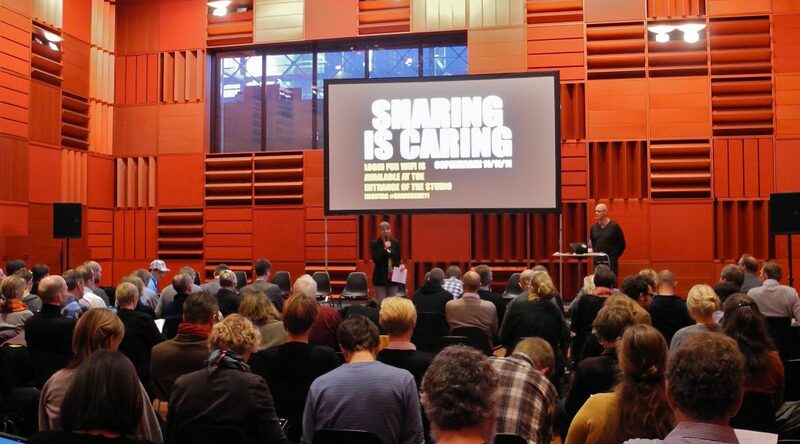 Send a short presentation of your project or topic, and your motivation for speaking at Sharing is Caring (max 5 lines in English) to sharecareinfo@gmail.com no later than June 15th. We will get back to you within a week after the deadline. We are looking for up to 10 ignite speakers. We’re especially interested in ignites about remix culture, and the potentials and challenges in re-using cultural heritage data for creatives, designers, hackers, makers, and tinkerers. Each ignite speaker is allocated 5 minutes of presentation time accompanied by 20 slides. During your presentation, each slide is displayed for 15 seconds and then automatically advanced. Please note that your talk must be delivered in English.